The new version by e-xtnd.it added new features and improvements to exploit many of the features of WordPress previously were not available. 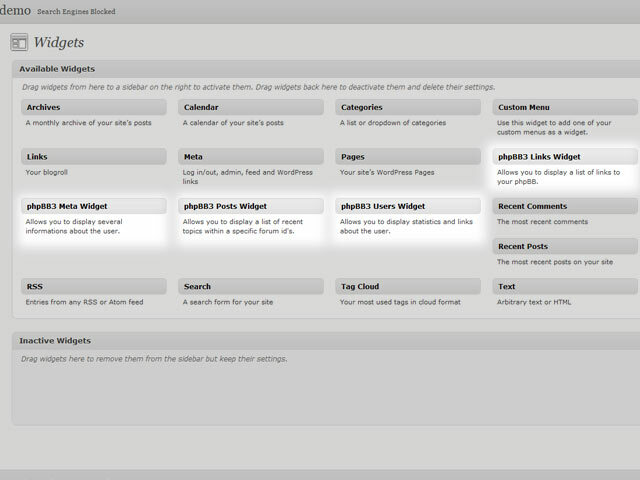 Also has been added one new Widget to give more options for your blog. After activating the Plugin, the user is redirected to connect and disconnect at phpBB. Also keeps the record within the phpBB3 and not WordPress. If a user does not exist in the tables in WordPress, then a new user is created . It should also be noted that after the activation several of the functions of phpBB will be available in WordPress in widget area. Adds new users to WordPress user table from the phpBB3 user table. Synchronizes WordPress user table from phpBB3 user table. 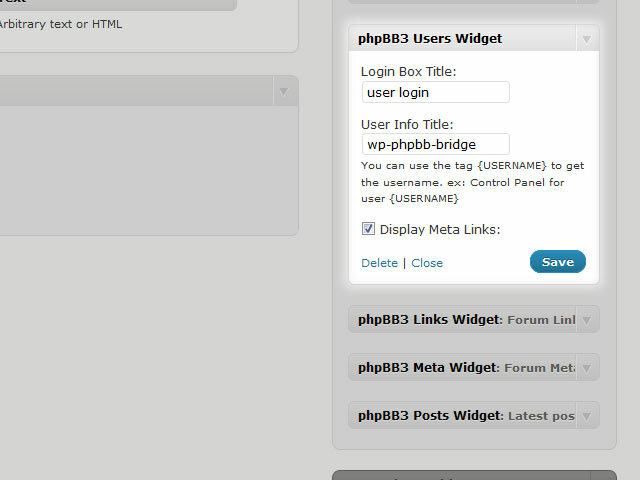 Widget for user login/user information from phpBB3 to be displayed. Meta links widget that has registration, logging in, WordPress admin, Forum moderation, and Forum administration links. phpBB3 links visible based on user authentication. 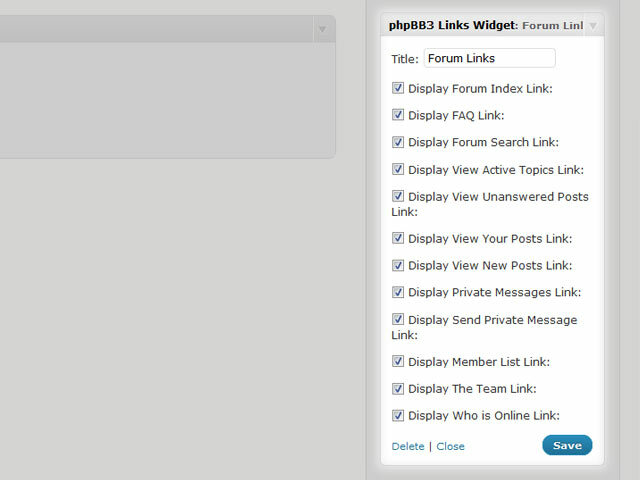 Forum links widget that has links to various forum functions and pages based on the phpBB3 user authentication level. Multilanguage, 4 languages already included (English, Greek, Spanish, Russian) more will be included in the next version. cURL move from all plugin files and replaced with other methods cURL free. Link to settings page has been improved in order to work properly in WordPress installations into a sub folder. New easier way to deactivate the plugin. You can select from which categories in WordPress new assigned posts will be auto submited in relevant phpBB forums. 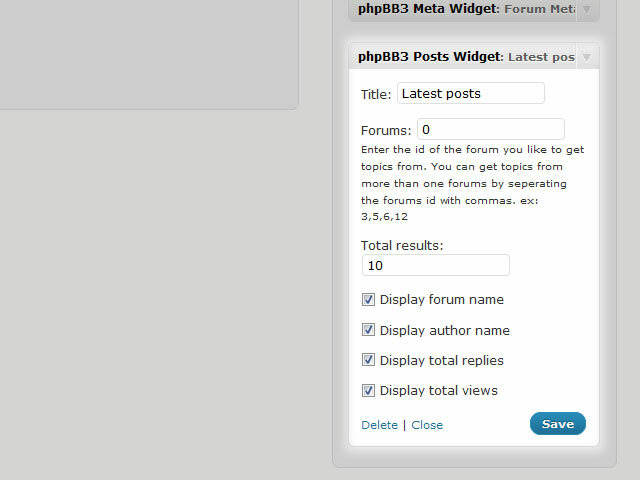 phpBB3 Posts Widget now display the latests threads with the correct order. Avatars are integrated too. Comments made by registered users now will contain the avatar that is assigned to the user on phpBB. You can now create instances of the same widget. Note: There is a difference between activating the plugin and activating the bridge. 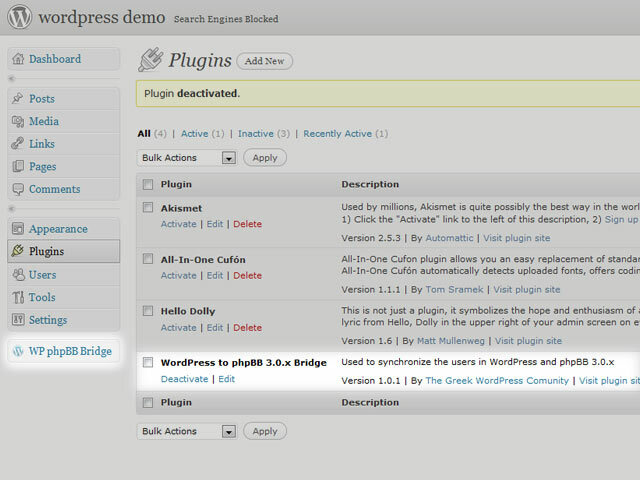 You must activate the plugin first in order to see the WP phpbb widgets, but DO NOT activate the bridge just yet. 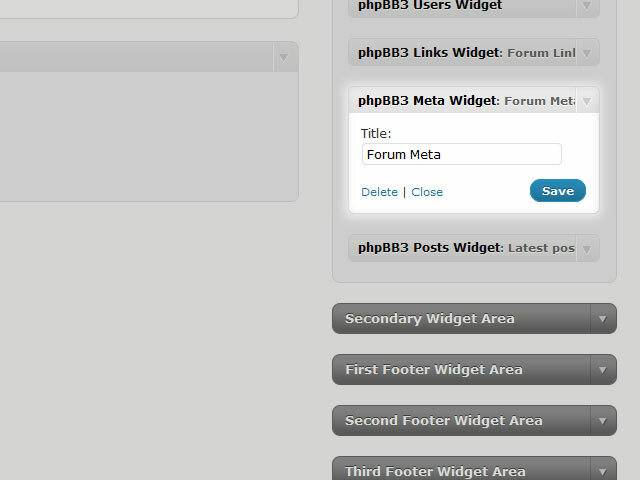 Drag & drop the widget called “phpbb3 Users Widget” to the widget area of your template to activate it. Go in menu: «WP phpBB Bridge» and complete the paths for config.php and ucp.php. We are able to offer commercial support and consulting services to help clients build successful integrated websites based on WP phpBB Bridge. NOTE: We are proud to be listed as WordPress consultants for Europe by Automattic. Need help installing WP phpBB Bridge, WordPress or phpBB? Have a website partially integrated and need help with? Does your integrated site have bugs and needs debugging? Need help with the tricky stuff? 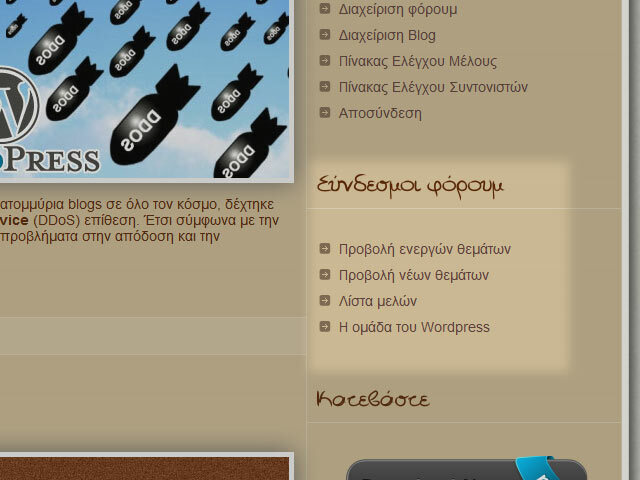 Ηad used in past an other plugin or hack for integration and want help to transfer to WP phpBB Bridge? We can help you with this, and many more. Whether it’s a simple installation, or a custom design and implementation of the engine for an interactive site, we can help. Below we provide an indicative price list for basic tasks. Note that these prices are only indicative, and will vary based on time required, complexity, ease of access to your server and schedule. Basic installation does not usually include design services, such as creating a WordPress theme. We can do much more than this — but for more complex requirements, we’ll need a brief , before we can provide a quote. Please note that pricing is relatively low — the aim is to fund WP phpBB Bridge development and cover time costs, while improving WP phpBB Bridge. 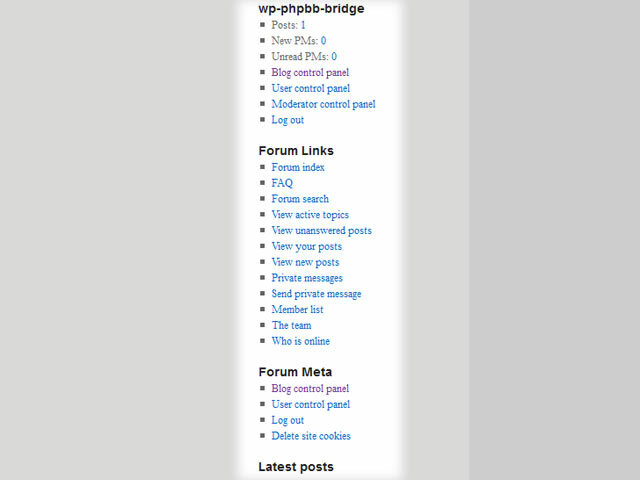 WP phpBB Bridge code itself is released under the GNU GPL. You can use it however you wish, as long as you (a) attribute us as the original creators; and (b) if you offer it or any derivative for download, you must release it under the same license. Of course, we would prefer to discuss such arrangements first. Note that this only applies to offering WP-phpbb-bridge for download or installing it as a service to others — not for using WP phpBB Bridge to display your site to users. Plugin don’t work with WP 4.0. Is it possible to User WP phpBB Bridge if WordPress and phpBB are on two different domains, like domain-wordpress.tld and domain-forum.tld? I wasn't very successful. Maybe because of the Cookie Domain? Okay, thank you a lot for that information – I will upgrade then (of course making a bakup first). I have the latest version of both WP and PHPBB3 and cant get the assign forums to work. This is a fresh install of both including the plugin. Any ideas what could be wrong? Just installed this plugin with the latest version of WordPress and the Assign forums doesn't work. Any idea when this will be fixed? Anyone know what versions this plugin works with? It says WP 3.0 in the info, it does NOT work with 3.4.1 anyone got it working with that version or have info on latest earlier version it work with? i have a 2.9 WP. Is one of the older version of WP birdge (2.0.0 ?) compatible (= was initially done) with this one ?